Why has social media secured a firm hold in our personal and professional lives? One of the main reasons involves the role that online communication tools had played in the past and the expansion of that role over time. Online communication tools such as email, messaging services, and social networking sites were originally designed to keep friends and family in touch with one another. Over time, businesses began using these tools to communicate with customers and peers. Social media, while offering the immediacy of email, also allowed businesses to maintain a public dialogue with existing customers, new customers, suppliers, and the competition. For customer-oriented businesses, social media can provide businesses a progressive, proactive edge in developing customer rapport. The marketing role that social media provides, therefore, must be treated seriously and that a thorough, well-thought out social media plan must be put in place so that businesses make the most of their time and effort. The previous blog, “The Social Media Evolution – Part 1: Understanding Social Media”, dealt with understanding social media regardless of technical background. This blog deals with the concerted effort to design and implement a social media plan once everybody in a business has been educated about social media. If management or your employees have varying degrees of experience with social media, I highly recommend reading Part 1 first. 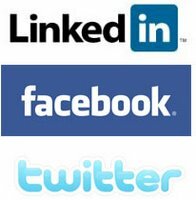 Setup accounts on social media websites such as LinkedIn, Facebook, or Twitter. Depending on the size of the company or purpose of the account, more than one Twitter account maybe necessary. Find existing communities of clients, prospects, and influencers on the aforementioned social media websites, niche social media sites, and established industry blogger sites. How much time can the company afford to dedicate to building a social media presence? How will the company respond to feedback, whether it is positive, negative, or just an enquiry? What tools can the business use to monitor their presence effectively? A word to the wise: If possible, a company should do a casual inventory of its own resources (as opposed to doing full-fledged inventory) before making any social media-related purchases. Businesses may save hundreds or even thousands of dollars if they already have some of the requested resources on hand. Additionally, asking management to share their buy-in with a proposed social media plan can help gain more cooperation from the rest of the company. Who should be involved in coordinating the social media plan for the company? As stated previously, companies must decide whether to deploy an internal social media team, hire an external social media consultant, or both. If companies have not engaged in the activities to introduce social media to its employees as described in Part 1, social media consultants may help straighten the learning curve by training the company’s employees and help identify online communities where potential clients already gather. However, I would recommend that the business owners, management, and employees engage in social media activities as described in my previous blog so that everybody in the company who has learned about social media together can create the social media plan together and give the company’s online presence an authentic voice. Beyond the purchase of merchandise or services rendered, companies can reach out to their customers with social media and provide added value to the overall service they received. For example, customers may need easier access to product information or better after-sales service. Companies need to determine what their customers find interesting about them and engage in conversation with them, steering clear from broadcasting sales pitches. Customers contact a company because they have questions about a product or service and social media gives companies the chance to become an interactive knowledge base. Some products or services may produce more discussion than others, so companies must act accordingly and add more specialists about the subject or expand the company’s knowledge base as needed. Where can companies find their customers in social media? Companies must spend the time researching where they can find new and existing customers by going to social networking sites. Consumers and business customers probably use different platforms such as Facebook and LinkedIn, respectively. Successful businesses invest in social media platforms that actually reach their customers. Is the competition using social media to market their business? Business owners and managers should evaluate their competitors, especially those who are using social media as part of their marketing, and determine whether or not they are doing so successfully. A lot can be learned by studying the businesses that used social media marketing and succeeded — and failed. Twitter, a very popular microblogging website, allows businesses to broadcast instant, public, and succinct 140-character messages (or “Tweets”) with links to websites, pictures, or videos. Due to the public nature of this form of social media, people who receive the Tweet have the chance to respond publicly as well, thereby, engaging in a dialogue with the business or even joining an online conversation with other people who also received the Tweet. 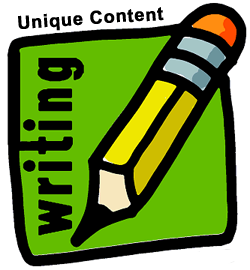 Writing a blog is similar to writing a diary or journal entry. An extension of microblogging, writing blogs allows a business to write longer entries and for specific, business-related reasons. The CEO, for example, may write one blog entry at the end of the month to discuss how well the company performed during the month. A manager, on the other hand, may focus their blogs on customer service and write one or two blogs per week. Readers are particularly responsive to blogs that have a personal touch and offer compelling opinions. The ROI of management’s time to write a thoughtful blog is high: many blog websites are free. The freedom to write longer, however, does not mean that a company’s blog writers should write long. Bloggers within a community should grab the target reader’s attention and keep them interested with short blog entries. There are many social networking websites online. Some were created for a particular country, professionals, or demographic. As I noted in the previous blog, Facebook is, by far, the most popular social networking site with about 500 million users. Even though Facebook started out as a social networking site for consumers, businesses have created successful social media campaigns on the site, as well. The previous blog also noted LinkedIn, a social networking website geared towards white collared professionals, and has over 70 million users. The choice of social networking sites that a business joins depends largely on whether their target audience or business contacts is present on those sites. Internet forums, or message boards, are online discussion sites. They provide people a place to give feedback about a business’ products or services. Well-structured and controlled forums allow businesses the opportunity to reach out to their customers and encourage them to use the forum to ask questions, make comments, or voice complains. Forum moderators well versed in customer service can direct a company’s forum towards generating positive word-of-mouth recommendations for the business. They must steer clear from using the forums for advertising or overt sales pitches or else, forum users will turn against the business. If a business needs to create a “buzz” about a new product or service launch, social bookmarking and information-sharing tools, such StumbleUpon or Reddit, can help. These services allow users to mark web pages that they consider “interesting” and would like to recommend to others. The number of recommendations is aggregated by the service in real time, allowing users of the service to see what their peers considering noteworthy at any given moment. While company websites by themselves should not be promoted with these services, companies can announce new products or services with these tools. Promoting time-limited special offers, especially through microblogging sites such as Twitter. Carrying out market research by inviting and encouraging feedback, especially through blogs. Providing direct access for customers to the company’s PR, particularly through microblogging sites. 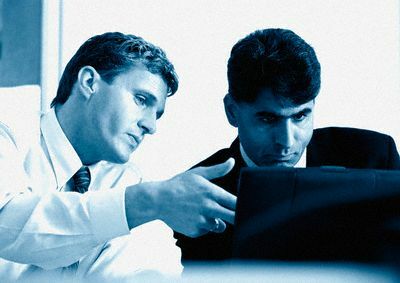 Establishing a reputation as a customer-focused business, committed to service and/or communication with customers, using a forum to accomplish this goal. Taking a proactive and vocal role in the company’s industry, participating in profile-raising, industry-wide debates and initiatives, by posting regularly on industry-wide forums or blogs with constructive suggestions. 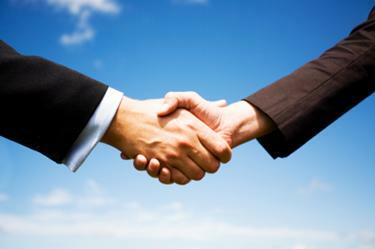 Cementing relationships with existing suppliers, creating referrals for those who earned your goodwill, and reading other business’ referrals to build relationships with new suppliers. Companies must understand that the medium and message go hand-in-hand. Effective marketing starts not only with sending the right message to the target market, but using the correct channel to reach them, as well. For example, the use of Twitter in a target market that does not use it would render the marketing campaign ineffective. On the other hand, companies that aim to make connections with other companies should take their marketing campaign to professional-oriented social networking sites such as LinkedIn. Successful businesses take the time to learn which demographics use which social networking sites and create marketing campaigns geared towards each target audience. In order for businesses to measure the success of their social media plan or return on investment, they must create SMART (Specific, Measurable, Achievable, Realistic, Time-bound) objectives and make sure that any marketing activity is tied to at least one of these objectives, separating hard targets (e.g. sales) from soft targets (e.g. creating new relationships). Companies should setup tools such as web analytics, customer service, or call centers, in order to help measure the success of each criterion on each social media platform. Companies must come to an understanding that social media marketing is not meant to replace existing, traditional marketing plans. In fact, social media may encourage businesses to reevaluate existing market channels. When businesses use social media, they should determine how they can promote conversation and sales-oriented messages through their existing marketing channels. A company’s social media presence may complement existing marketing channels and conflict with others. It maybe tempting to think that social media marketing can replace existing marketing activities completely, but companies that do so could miss out on targeting a demographic that chooses not to use social media at all. However, social media marketing can replace existing marketing activities if and only if the business targeted just social media users. Creating a strong social media platform includes conveying essential information about the business as well as an image that they want to promote, particularly any existing visual branding. Brand ambassadors and key contributors can add to a company’s profile significantly. Businesses that identify these types of users early should engage with them, one-on-one if necessary, talk to them, get to know them, and encourage them to promote the company’s brand, providing them with tools to share the company’s content across their networks. The Internet’s commercialization and the number of companies that do business online means that companies must have some kind of online presence in order to survive. However, websites cannot be treated like a washer or dryer, where a person sets it and forgets it. Businesses should include in their social media plan a schedule for providing relevant website or blog content that is updated regularly. Websites such as affiliate or e-commerce sites, or graphics intensive sites, require fresh content periodically. On the other hand, the content from public discussion forums, news sites, and blogs is generated by its users or writers. Companies should integrate the content with their website so that both traditional and social media-oriented customers can benefit from it, taking great care to apply search engine optimization (SEO) practices to maximize the visibility of the website in organic search engine results. Since the content sells the company and its products and services, the company must make sure that the marketing messages delivered to their customers are informative, engaging, and relevant. If businesses share their knowledge and expertise outright, they can avoid making persistent, unsolicited broadcasts or hard, pressing sales messages. Despite following the best business practices and receiving an A+ from the Better Business Bureau, companies should realize that some critical, negative, or even controversial feedback is likely from some customers. A company’s social media plan should outline how to deal with any and all types of feedback from its customers. Companies that respond promptly give them the chance to build their profile and credibility. On the other hand, companies that respond slowly or just as critically, brush aside or suppress a complaint, or worse, edit or delete a negative or controversial comment, can damage the company’s profile significantly. Social media has been and will always remain dynamic. Companies must keep that in mind as they roll out their social media plan, so they must monitor their social media use, measure their progress, and make changes to their approach if it proves ineffective. Communities and the people in them evolve every day according to their needs and desires, so companies must keep in touch with them. A target audience may move from one social media site to another, so companies must be willing to move with them. Companies should perform a progress report every month, quarter, or semiannually and evaluate the performance of the social media plan against the objectives and goals set before the plan’s implementation. With the use of available measuring tools, keeping an open ear to customer feedback, and using all sources of information available to them, companies should be able to identify ways to improve their engagement. Most importantly, the company must monitor their brand and act when there is conversation happening that they can add value to and influence. When a company decides that they can reap from the benefits of integrating a social media marketing plan into their daily operations, they must not lose sight of why they are around. Companies exist to do business with other companies and consumers. Their success is due in part to following sound business practices and sticking to carefully laid-out plans that brought the company prosperity over the years. Even though social media has been around, integrating it into a company’s daily operations is relatively new and, as such, fraught with peril. Business owners, managers, and employees most likely have different levels of casual experience with social media and its communication tools, so putting them on the same page about social media (vis-à-vis , Part 1: Understanding Social Media) was necessary before setting out to create a formal social media plan. Everyone in the company would play a part in creating the plan: managers, creating a timeline of activities that must be done; marketers, identifying the marketing needs that social media can address; employees, proposing resource upgrades that can help the company follow through with the plan successfully. The customers whom they are serving can tell the company what they are doing right or wrong and make changes accordingly. 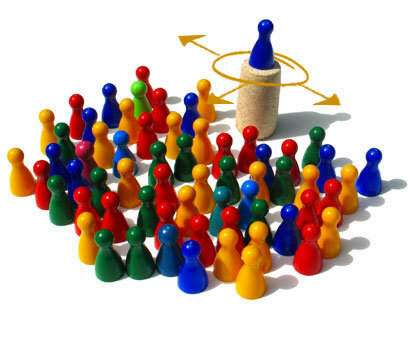 The company can turn their most ardent or vocal supporters into brand ambassadors and push forward the company brand. In order for a company to experience continued success with social media, they must be willing to move with the ebb and flow of its customers. Successful social media plans are not set in stone; they never stop listening to the customers or the company that created it. Social media has shifted how businesses interact with their customers as well as each other. The number of people on social networking websites are staggering: Twitter, for example, boasts nearly 200 million users while the number of users on Facebook totals half a billion. Despite the large numbers of users on these two social networking websites alone (the thousands of other such websites notwithstanding), many owners and managers of small businesses do not know how social media can help their business, and precious few have anything resembling an effective and well-thought out social media plan (the subsequent blog, “The Social Media Evolution – Part 2: The Social Media Plan“, covers this). The blog focuses on how business owners, managers, and employees can gain a better understanding of social media, and how it can help expand existing business practices. Why should business owners and managers even bother to look into social media for their business? For starters, if they do not create a social media presence in the networks where their existing customers are located, they miss out not only on positive feedback that those customers may provide unsolicited and publicly, but they also miss out on gaining potential customers who observe the interactions and feel as though they can trust the business even before the first transaction. In Facebook or Twitter, where the interactions between business owners or managers and their customers are posted or Tweeted for the world to see, brand-building, brand marketing and great customer service are some of the many social media building blocks for businesses to build a lasting foundation with customers or other businesses. Given the vast number of social media tools and social networking websites to choose from, making the jump into social media may seem overwhelming for some business owners. However, if they have a Facebook or Twitter account for personal reasons, they have already taken the first step. Therefore, business owners who have unwittingly taken this first step just need to apply what they already know from personal experience to their business. However, what if business owners have never used social media, even for themselves? Of course, the move towards social media would be more intimidating at any level. In order to help business owners understand what social media can do for their business, we must put aside any technical discussion and, instead, highlight how social media extends existing business practices. Hector Jarquin notes five of these extensions. Traditional customer service involves interaction between store employees and the customer, where the customer makes inquiries about special offers or has questions or comments about the good or services. Social media allows business owners and managers to join the conversation, building relationships with new or existing patrons. 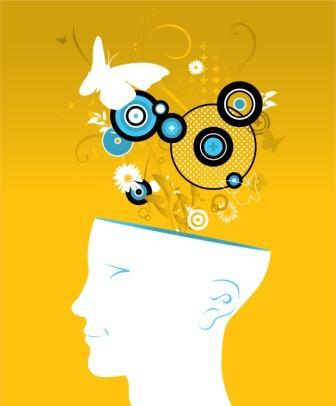 The two-way nature of social media helps people create a better understanding about the business. Even if business owners have not created an online presence for their company, business referrals on websites such as Facebook, Twitter, and Yelp have probably created the online presence of the business but to a smaller degree. These websites help people share their opinions about the business with friends and strangers, with tools available to business owners who wish to manage comments and opinions about the business. Social media offers business owners more control over their brand, giving customers greater insight into their business over the competition. Hector summed it up best: interact, participate, share, discover. Engage with the people in your industry. While business owners and managers slowly warm up to the idea of social media for the business, their diverse employees have probably used social media in equally varying degrees. Not surprisingly, older employees may have limited exposure to social media while younger employees are probably glued to Facebook and Twitter on their cell phones during break or lunch time. Business owners and managers who become aware of their younger employees’ social media savviness may turn to them to introduce social media to the rest of their, otherwise, social media-mute colleagues. Jessica Stillman lists seven creative suggestions to get employees involved in social media without being technical. Knowledge is power, especially if trade publications the business subscribes to feature articles about social media and how it is used in business or for entertainment. Print these articles and leave them for the employees to read with a note saying, “Thought you would find this interesting.” Follow up personally a day or two later and field any questions or comments the employees may have. Starting a dialogue with other social media-savvy employees allows the like-minded group to engage in thoughtful conversation about how the use of social media tools could impact the business, making it easier to have similar conversations with the rest of the not-so-savvy employees. Look for opportunities to add a social media component when discussing solutions to meet training needs. Most social media tools available today are free. Yes, free! Nothing sounds sweeter to budget-conscious business owners and managers than the sound of that word. Zero or near-zero cost of any new program implemented by a business is almost unheard of, but social media is a rare exception. The public nature of social media allows business owners and managers to take a glimpse at the competition and see what people are saying about them, thereby extending their business relationship with their customers. Business owners and managers must realize that introducing a social media plan for their own business will yield similar benefits. Are you on Facebook, Twitter, or LinkedIn but your employees or co-workers are not? Invite them! You will be one of their first contacts. Once they sign up, give them a personal tour of the social networking sites. If your company has strict rules limiting the number of photocopies you’re allowed to make (see “Start an education campaign”), giving books about social media to your boss, co-workers, or employees, especially during Christmas and the Holiday season, may help nudge them towards optimizing the business with social media. Finally, after months of internal campaigns about social media with the business owners, managers, and employees, the business can move forward and apply social media marketing tools, confident that those within the organization are more or less on the same page. The social media-savvy in the company have made everybody else social media-conscious at the very least. Business owners and managers can now begin to create an effective social media plan. Before business owners and managers join a social networking site, let’s explore the three most viable options available to them from a business standpoint. Facebook, by and large, is the most popular social networking website with over 500 million users worldwide. A potential customer base of half a billion people can really help a business take off if business owners and managers put together a successful social media campaign. Twitter comes in second with nearly 200 million users worldwide. Used properly, the microblobbing site can generate buzz about upcoming events, limited time offers, and special deals, often available only to customers who follow the company’s Twitter account. LinkedIn, with over 70 million users, helps users hunt for jobs and recruit new employees, as well as carry out tasks such as researching companies and prospecting for deals. The social networking website provides a place where white-collar professionals can communicate with one another. Social media is a dynamic field. While the tools change over time and the social media plan of one company should not be followed, verbatim, by another company, the basic understanding of social media in regards to how it extends existing business practices remains the same. Given the varying degrees of familiarity that employees, management, or business owners may have with social media, non-technical campaigns maybe necessary at first to get the company on the same page. Once everyone in the company is sufficiently versed in social media, business owners and management can team up with their employees and set out to create a social media plan tailor-made for and by the company itself. Rick Montoya, President and Chief Operating Officer (COO) of Spacetron Metal Bellows in Santa Clarita, California, wants to pass on the knowledge of welding to a new generation of welders who may very well design, construct, and launch hardware destined for outer space. With that in mind, Rick created the “Aerospace Welding Apprentice Program“. Allows your company to maintain its production schedule without reallocating welders/welding operators and/or QA Staff for training purposes. Having the apprentice observe, learn, and prepare for the welding of the Aerospace hardware to be performed by a certified aerospace welder, Spacetron Metal Bellows. Being able to meet production schedules and ship hardware to your customers, meeting all your company and NADCAP Welding requirements while the apprentice is going through the on-the-job apprentice program. Able to increase new programs by adding new certified aerospace welders and/or welding operators to your company team. After the completed Apprentice Program, you will have a certified aerospace welder and/or welding operators ready to join your team with the experience needed to work on your aerospace products, with the freshness to be molded into your company’s operating philosophy. If you feel that you are ready to take on the challenges of aerospace welding, or if you’d like your employees to undergo additional training, please contact Rick Montoya. You may have noticed that for three weeks in June, I did not write a new blog entry. I spent those three weeks designing a new website for Spacetron Metal Bellows from the ground up. The previous web “design”, ill-conceived and put together on-the-fly, no longer served the needs of the company. The new web design has fewer HTML pages but displays more pictures, information, and even a new social media interface with Flower Blossoms. 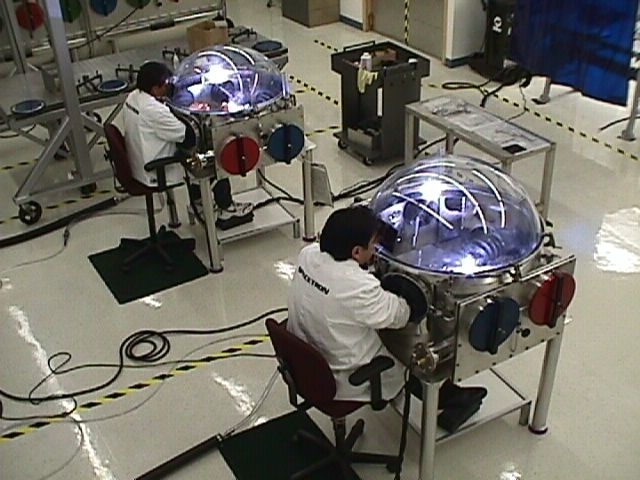 To construct a vacuum chamber (giving birth to the first Spacetron Vacuum Chamber). To perform the GTAW titanium chamber welding on the aft thrust structure for the Space Shuttle Endeavor. Spacetron Metal Bellows has served a long list of aerospace clients, designing and building Spacetron Vacuum Chambers to the client’s specifications, fabricating and welding titanium structures, and providing many complex assemblies. 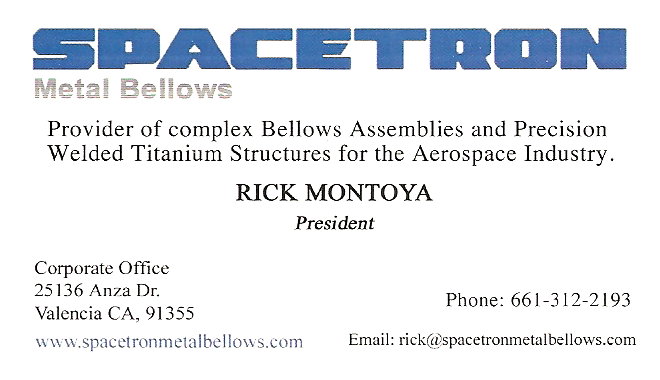 The company’s website provides an abridged list of projects involving Rick Montoya and Spacetron Metal Bellows. Trust me; compiling an unabridged list is itself a project . Nonetheless, very small snippet of projects that Rick has worked on includes NASA’s Hyper-X, the B-1 Bomber, MX missile, Space Shuttle, Airborne Laser (ABL), F-35, and NASA’s Commercial Orbital Transportation Services (COTS) program with Rocketplane Kistler (RPK). Even though he specialized in welding nuclear piping assemblies, he has expanded his capabilities in welding materials such as titanium, Inconel, stainless steel, aluminum, and bellows assemblies. 28 years in business has allowed him to build an extensive supplier network and take on challenging projects with confidence. 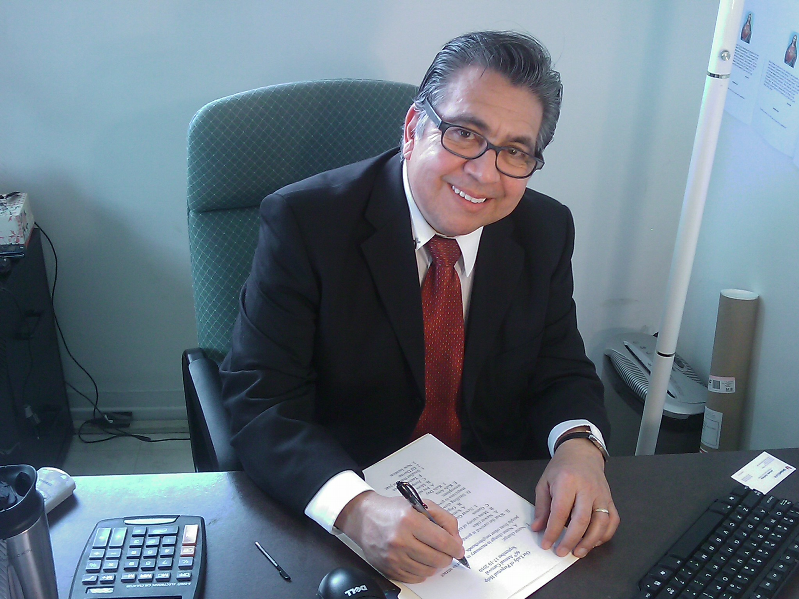 If your company has a welding project that requires additional consulting, contact Rick Montoya. The added value he provides may save your company hundreds of thousands, or even millions, of dollars.